8 Supplements for Better Digestion: How Well do they Work? Got gas? Bloating? Constipation? Diarrhea? You might be trying to fix one (or more) of these problems with a supplement, but unfortunately almost everyone seems to have a different opinion about what supplement to take. Here’s a list of 8 commonly recommended supplements, and the research on how well they work. Helps improve digestion, ease constipation, and improve glucose tolerance. There are no studies evaluating apple cider vinegar for digestion or constipation. This study found that apple cider vinegar does delay stomach emptying and improve glucose response to carbohydrates in diabetics. The study also cites evidence that vinegar in general has this effect on most people, regardless of the type of vinegar. Raw apple cider vinegar might have benefits for digestion because it’s a probiotic food, but this has not been studied. There’s some evidence that it improves glucose tolerance when eaten with carbohydrates. Searching PubMed for studies on betaine HCl and heartburn only turns up one study, which found that a supplement containing melatonin, l-tryptophan, vitamin B6, folic acid, vitamin B12, methionine and betaine was helpful. That’s nice, but with so many different things in one supplement, it’s impossible to pin down the benefits to just one part of it. Betaine HCl may or may not help; we don’t have any evidence that would let us know for sure. Help speed digestion, alleviate constipation and bloating, and reduce that feeling of food sitting undigested in the stomach. There’s a reasonably good amount of research that they may be helpful; you can read about it in detail here. Digestive enzymes might help people, especially people who are having trouble digesting and absorbing their food. The probiotic bacteria in fermented foods support the colonies of probiotic bacteria naturally found in the human intestine. This is beneficial for pretty much everything, since the gut flora affect so many different systems. Fermented foods are not the same as probiotic supplements, because they also contain other food components that may interact with the probiotics, e.g. the fiber in sauerkraut or kimchi, or the proteins in yogurt. This review goes over the benefits of fermented dairy products specifically. 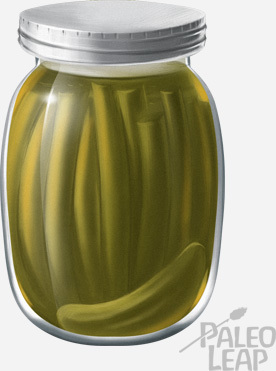 This review looks at all kinds of fermented foods and their benefits for mental health. This paper covers kimchi (Korean fermented cabbage) specifically, and lists all kinds of benefits including help with constipation. There’s strong evidence that fermented foods are good for you, but not everyone does well on them. If you have a bacterial overgrowth problem (e.g. SIBO), fermented foods might not be wise until your gut has healed. The Claim: Adding more fiber will bulk up your stools and make them easier to pass. This review pretty much says it all: the use of fiber for “functional bowel disease” (namely, anything without an obvious physical cause) is not actually very well supported, and fiber type matters. Whether or not fiber is helpful for digestion really depends on what type of fiber you’re talking about. In general, fiber supplements are a short-term band-aid at best. You can get all the fiber you need from whole foods; most people won’t find a supplement helpful on top of that. Gelatin helps ease gastrointestinal symptoms because it’s very soothing to the digestive system. There’s some research indicating that gelatin is good for the gut; you can read all about it here. None of it is terribly definitive, and there’s a lot more to do, but it does seem to be helpful. Broth rich in gelatin has been a traditional gut-healing food for thousands of years, but broth also has a lot more than just the plain gelatin. On the other hand, it’s fun to make desserts out of gelatin powder, there’s nothing dangerous about it, and it may be helpful: there’s certainly no harm in experimenting. The Claim: Prebiotics feed the gut flora, which allows your own flora to grow healthier and stronger. This review goes over the evidence of prebiotics both on the gut flora generally and on the symptoms of Irritable Bowel Disease. Overall, the balance of the evidence is slightly positive, but there just aren’t a lot of trials. 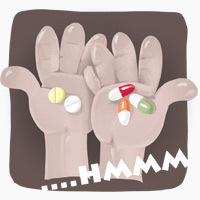 Prebiotic supplements are a mixed bag: some people do really well on them and other people can’t tolerate them at all. If you do want to experiment, start very low and up the dosage gradually to minimize potential side effects. It’s also worth noting that for some people, prebiotics actually make digestive symptoms worse, especially for people sensitive to FODMAPs. The Claim: Taking probiotic supplements (if you’re interested in probiotic foods, see “fermented foods” above) will help improve gut flora composition. There’s fairly strong evidence that probiotic supplements are effective for antibiotic-associated diarrhea (in other words, the antibiotics mess up your gut flora, but probiotics can put them right again). This review found that probiotic supplements were effective for constipation, especially in older adults. A good probiotic can be very useful as a therapy; just make sure to get a high-quality one. But it’s also worth noting that in the case of SIBO, a probiotic can be worse than useless: if you think you have a bacterial overgrowth, talk to a doctor before trying a probiotic. Do you take any supplements for your digestion? What do you take, and does it help? Let us know on Facebook or Twitter!